Elizabeth Alexander is one of five Digital Humanities undergraduate fellows from the 2013-2014 academic year. At the time of her year-long fellowship project, Liz was a Senior at Amherst College double majoring in English and Black Studies. Currently, she is pursuing a graduate degree at Cornell. You can tweet Liz @_superluminal. Elizabeth Alexander’s 5CollDH fellowship project and undergraduate thesis was an interdisciplinary inquiry into what it means to read, analyze, and speak to narratives of enslavement. Alexander began with two source texts—Harriet Jacob’s Incidents in the Life of a Slave Girl (1861) and Octavia Butler’s novel Kindred (1979)—and asked how digital literary analysis might create a better reading of the agency, urgency, and silence in Butler and Jacob’s works. Ironically, it was only in the process of trying to experience Jacobs’ narrative that I began to understand how I could never understand her narrative. 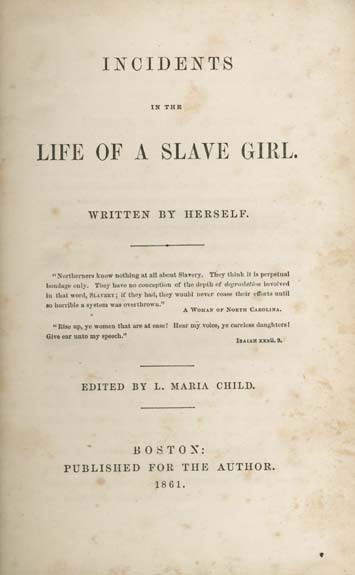 The world of an enslaved woman is structurally and ideologically unfamiliar, and it became more important to figure out how I could read and ask productive questions of Jacobs’ life and experience than to analyze her narrative as though I could and did understand.